As part of a global toolkit on gender, Omar is currently working on a guidance document on gender in places of deprivation of liberty, on behalf of ODIHR, DCAF and UN Women. If you are aware of any gender mainstreaming projects that have successfully been implemented within places of detention, or positive examples of using a gender-responsive approach, which you feel deserve international exposure, please do feel free to contact Omar with some details. Omar is currently undertaking PhD Criminology research via a Quintin Hogg Scholarship at the University of Westminster, London. The focus is on understanding the most effective methods for reducing Pretrial Detention in Brazil. He is examining the local interpretation of normative Euro-American understanding of human rights and how this effects reform and implementation. 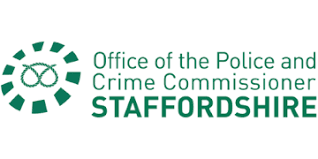 Omar is conducting a study in Staffordshire, UK at the request of the Police and Crime Commissioner. Many officers express feelings that much of their time is focussed on working with people that have mental health issues, however, the statistics do not show this to be evident. The study will examine definitions, recording methods and perceptions of police and other key stakeholders, related to mental health.